This morning, I came across someone’s contact information who had attended one of our educational webinars who I don’t know at all and emailed him–nothing out of the ordinary, pretty routine. We all get so many out of office notifications from folks we email these days, I am probably not the only one guilty of not always even opening them, much less reading the details of when the person will be back. For some reason, I opened the one from this healthcare executive, who shall of course remain nameless unless he should see this post and choose to speak up. It stopped me in my tracks. The notification was brief, and began “I will be out of the office for several weeks while I am kicking cancer in the teeth.” and remarkably concluded with “Have a super day!” Talk about putting things in perspective. Unlike most of my posts, this one has absolutely nothing to do with intranets. Yet somehow, I suspect most of us who are reading this may sadly know someone who has recently or may be currently going through this sort of personal health crisis. I, for one, have a few friends who have been through this very recently who did not survive. 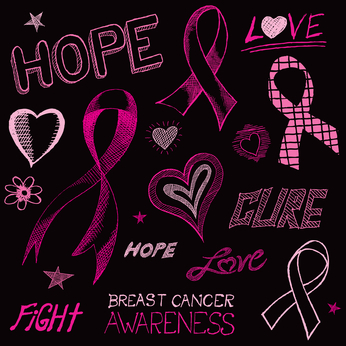 It’s not quite Breast Cancer Awareness month yet, but I choose this forum to remind everyone to ready their pink ribbons for next month. I have been walking for cancer for years now, and I can’t help but shine a light in some small way on the painful and brave message one healthcare executive chose to defiantly share with the world. To him and to all the others in the same boat, keep fighting the good fight!